Welcome back to our three-part War of 1812 Series. In the last post, we discussed the struggles of the American army, including ill-preparedness and lack of strong leadership. In this series, we’ll start to discover how the American military grew into a force to be reckoned with. By the end of 1812, after defeats at Detroit, the River Raisin, and Queenston, the Americans had actually lost some of its lands to Great Britain. President James Madison and his administration realized the need to overhaul the military to start winning. One of the most significant improvements to the American side was the strengthening of the U.S. Navy. Capt. Isaac Chauncey was appointed to command in the Great Lakes. He began to build ships and embark on a naval arms race. President James Madison also appointed a new secretary of war, Brig. Gen. John Armstrong. And in January 1813, Congress decided to increase the number of officers and raised the pay of all ranks. A private was to earn $8 a month, a substantial increase over the $5 they were receiving at the start of the war. President Madison named four new major generals. Working together, the Army’s senior officer, Maj. Gen. Henry Dearborn, and Captain Chauncey convinced Armstrong to raid York, modern-day Toronto, where they planned to capture or destroy vessels being built there. The raid was successful, giving the Americans a confidence boost. General Henry Dearborn followed up this achievement by taking Fort George on the Niagara River. However, their victories were followed by defeats at Stoney Creek and Beaver Dams. The two-pronged campaign to seize Montreal in the fall was likewise defeated at Chateauguay and Crysler’s Farm. In the west, however, Army-Navy cooperation led to the recapture of Detroit. The war along the border with Canada in 1813 saw a string of bitter defeats punctuated by a victory in the Old Northwest. Perhaps most importantly, the Army was recovering from its early mistakes and adapting to the challenges of the war on the frontiers. Officers and soldiers were learning their trade and gaining valuable experience. But it still wasn’t quite enough. Despite increases in pay, not many citizens were willing to join the “Regular Army.” Despite Madison’s new leadership appointments, there was still a lack of experienced officers and noncommissioned officers to train new regiments. American soldiers continued to lack basic necessities such as warm clothing and food. For more details on the war, purchase The Canadian Theater, 1813, available on the GPO Online Bookstore. The Chesapeake Campaign, 1813−1814 details British leaders’ strategic decision to conduct a naval blockade at the Chesapeake Bay. The British wanted to divert American regulars from the Canadian border and shift their focus to defending their own land. One way to do this was via a naval blockade. The only problem was that with the vast majority of the British army fighting against the French Emperor Napoleon at the same time, the British didn’t have enough ships to cover the extensive coastline of America. So, they decided to focus on one area in particular: The Chesapeake Bay. The fighting began on February 8, 1813. The British captured the Lottery, just one of the many ships the Royal Navy would seize during what would become the nearly two-year-long campaign. By mid-April, Americans living in small port towns began to directly feel the effects of the war when R. Adm. George Cockburn of Britain sent sailors and marines ashore to raid small port towns. Although he claimed to have paid for any confiscated property, he usually did so with notes that could only be redeemed after the war. At Havre de Grace in Maryland, Cockburn demanded $20,000 from village leaders. When the town refused, a British officer informed town leaders that “your village shall now feel the effects of war.” The British looted and burned most of the town buildings. Did the young and still somewhat young American military fight back hard enough to win the battle and prove themselves equal to the soldiers of the British Empire? Order your copy of The Chesapeake Campaign, 1813−1814 to find out how the rest of this two-year campaign ended. 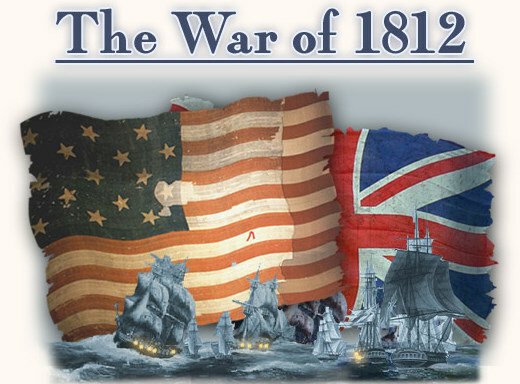 And stay tuned for the third and final installation of our War of 1812 Series right here on Government Book Talk.